Due to popular request we'll be holding some Libguide CMS training in January 2018. This is not for absolute beginners in Libguides, so if you're just starting out, it's suggested you follow some of the courses by Springshare first (Link only works if you're signed in). You will also need the CMS version of Libguides to be able to participate. Please also download a web text-editor such as Atom so you are able to customise what you're learning to your own situation. Compensation: Course is free of charge, but we would expect you to pay the community back in kind with help on ISLN committees, book selections for the Red Dot Books for 2018/9 etc. As everyone is aware, last year we had a hiatus in the Readers' Cup Competition, but many school still purchased the Red Dot books and arranged activities around this. Here is a contribution from Sarah Mounsey about how they promoted the books and did an internal competition. As they say, there is more than one way to skin a cat, so we welcome contributions from our member schools on practical and logistical details of how they worked with their Red Dot Books last year, or how they plan to do it this year. All can be used as inspiration and adapted for your personal library / situation. The students from the book club ECA's started reading the books as soon as they arrived from September/October. So did the reading ambassadors (Year 6) and Library Assistants (Year 5). Most of these students read all or most of the books in their age category. In December Jane Hayes and I organised a wine, cheese, chocolate and books afternoon in the library to entice staff to read at least one read dot book over the Christmas break. I went to each year group's meeting and tried to get them excited about the books, telling them all about each book and encouraging them all to choose one to do as a class reader. January: We launched the books in a whole school assembly and the reading ambassadors did a short book talk about each book. The students had a house meeting and in their year groups and had to form teams of between 8 and 10. In their team they had to ensure that each book would be read by at least one person. All students were asked to choose one book they would like to read and they had to put their name in a list in the library to read this book. Many students read more than one, in fact I would say 70% of students did. Most books we had only 8 copies of so we spent a lot of time delivering books to classes as soon as someone had returned a book. We used parent volunteers and students library assistants to support with this because I only have one library assistant. Almost every child read a red dot book, there were a few who slipped through the gaps. This year it will be easier because for younger readers I will ensure every class listens to Burt Munro and for older readers parts of Stormy Seas. At the end of April we had our huge house event. Each year group (year 3-6) had an afternoon event which went over two lessons. I have attached the instructions for this (they're at the bottom of the blog). This was such a fun, high energy event and worth all of the hard work. The house spirit in our school is huge so regardless of whether students ended up in the final, they were delighted to be cheering on their team and also could participate on whiteboards from the audience. The Kahoot round was the most popular and I may change it this year to use Kahoot for the first round also. It has really resulted in the students being excited by the red dots books earlier this year also. 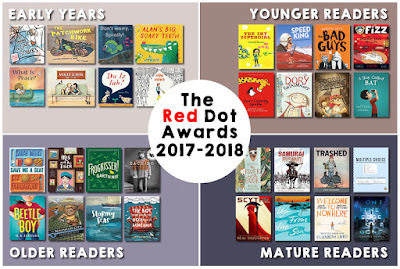 I have not decided exactly how I will choose my teams for Readers Cup, but I know it will be a challenge because the excitement over red dot books is now huge. Round 1: By the end of this round there will be a winning team for each house who will represent their house on the stage in lesson 6. The students all chose teams last term and I will share them with you on Monday. Some of them have team names, some do not. If they don’t have a team name ask them to come up with a quick name at the start of the lesson. Also there may be some students who are absent and there may be the odd student who was not allocated to a team. Please place them in any team where the numbers are lower. There should be 6- 8 students in each team. I will deliver all question sheets to the 4 classrooms for the start of lesson 5. 4 questions per book, 32 questions altogether. All completed on paper, team converse to record the answers. Please do one book at a time, not all at once. Teams to fill in their house and team name at the top before starting. As soon as they have finished each sheet, send to the judges to mark (we will ‘run’ between the classrooms or you can also bring them to the library). Judges/markers I will have answer sheets for you and results tables to fill in with the scores. If there is a draw within a house. Extra long answer questions done. As soon as there is a clear winner for your house we will advise you to start moving the students to the theatre. It would be ideal if this is done during lesson 5 so that there is more time for the finals on the stage. Can students all bring whiteboards and pens if they wish to take part from the audience and also bring their books for DEAR. Please sit all of your house together in the theatre. If your house is the first there start DEAR. Auditorium with one person per house on stage. Five staff members in the audience. A photographer, 3 judges and someone in charge overall. Audience to have whiteboards to take part and keep score. 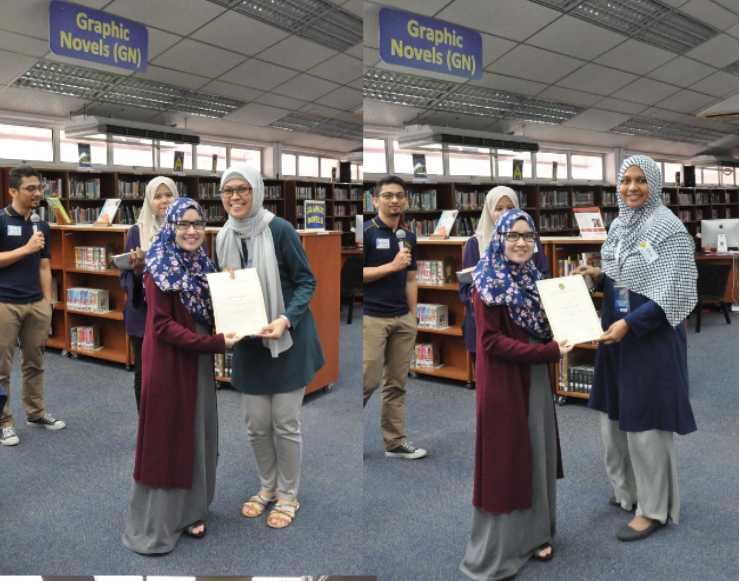 Children also to bring a book to read (NOT a red dot book) because we will do DEAR while judges are conferring. Sarah M to be running this in the theatre. If you are only teaching lesson 5, please stay until the end of lesson 5 in the theatre with your house to help supervise the students. Feel free to bring a book and DEAR with the students. The winning book trailers and/or covers will be shown on the screen whilst the individual markers finish marking and bring score sheets to the theatre. The winning team from each house is announced and the children will come on to the stage to compete. The teams will need to nominate a different person to ‘lead’ each round, with a total of 4 rounds, plus a possible tie breaker. Staff judging to be sitting at tables at the back of the front tier (like in the spelling bee). Extra information for staff on stage. I will be explaining this to the students as we go so it will all be obvious and you do not need to worry too much about it. Round 2. Team Chat. There will be 1 question per book. As a group write the answer on a whiteboard and then show it to the judges. 30 seconds per question. (8 questions short answer). Round 5 What's in the box (fast and furious). Nominate 2 people to answer on the microphone at the front of the stage. Tie Breaker. If it is a tie at this stage. Repeat question from the box- sudden death. Learning 2.0 at Shanghai American School. Of particular interest to librarians is Jeff Utecht speaking on "Honing research skills in the age of falsified news & echo chambers"
21st Century Learning Hong Kong will have a library pre-conference and library / information literacy strand with Joyce Valenza as keynote. Here is the link if you'd like to submit a presentation proposal. ECIS Library 2018 in Chennai India. Keynote speakers are ​Shannon McClintock Miller and John Schumacher (a.k.a Mr. Schu). EARCOS Teachers' Conference in Bangkok. Diane Mackenzie and Katie Day will be presenting as will Pernille Ripp (Global Read Aloud). Asia-Pacific Library and Information Conference. Gold Coast Convention and Exhibition Centre, Queensland, Australia. Apologies for the delay, but at least we've managed to do this by early June. Progress! I think we've got a good line-up and balance in the "baskets" of each category. Go have a look. Many thanks to the ad-hoc committee members who found time to meet up in the evenings and to read recommendations throughout the process. For availability, see the Google Spreadsheet where we composed the shortlists -- and know that we will be adding other sources to that, e.g., usually Follett put the shortlists in Titlewave and Denise Tan from Closetful of Books will produce an order sheet. The Readers Cup Reboot information will also be added to the Red Dot website in the near future. 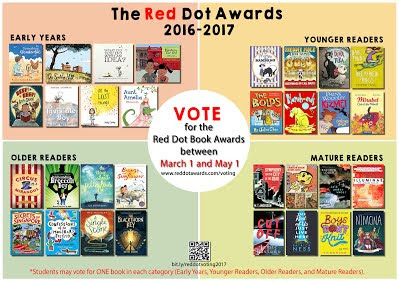 Students from 11 different international schools in our network cast almost 8,000 votes in total in the four categories of the 2016-2017 Red Dot Book Awards. 1st place: Beep! Beep! Go to Sleep! Note that each school also has its own winners -- and participating schools are given those results to advertise as they will. Until last year, (when we questioned the practice), the Kids’ Lit Quiz™ (KLQ) was only open to MOE schools. They have now opened it to all schools in Singapore. Schools can send up for 4 members a team (with additional 2 reserves). Members must be between 10 and 13 years old as at 1 July 2016. There’s a host of fringe activities for your students to participate in such as Book Out! at the public libraries and online quizzes on discoveReads – you can find more details here. You can also download the KLQ booklet and booklist here for ideas on promoting reading and literature in your school. * In the event of your team winning then your school would need to find the funding to travel to the World Final (which was Auckland last year). Actually this is what happens in all the countries. Some receive a subsidy but no team receives the full amount. Since many schools are no longer doing the Readers' Cup this may be an interesting alternative for your more "elite" readers. There is now a "Kids' Lit App" as well. The Asian Festival of Children’s Content (AFCC) is an annual festival in Singapore that celebrates and promotes the creation and appreciation of children’s books and content, with a focus on Asian themes. Indonesia is the country of focus for this year. ISLN members are offered a 10% discount. 20 May, 9am – 10am. Looking at four schools, St James’ Church Kindergarten, the Green School Bali, Sarada Kindergarten and Kumon, discuss about literacy practices adopted by their schools and efforts to help children improve their grasp of languages. 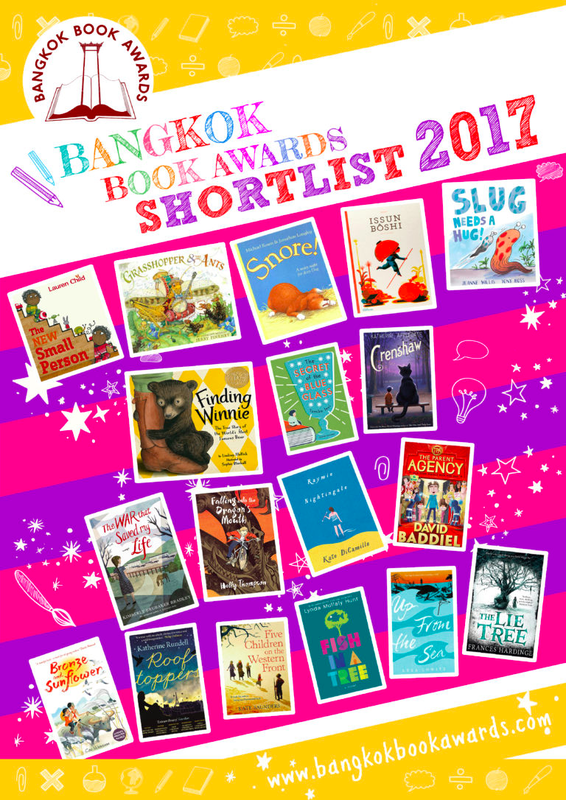 Authors Discussion: Who Gets to Write Asian Stories? Elaine will go over the key points she uses as a teacher librarian to encourage reading among students. She will also highlight the pitfalls and challenges that parents should be aware of. This session will provide anecdotal and research based strategies on how to encourage reading. Blokes with Books: Can Social Belonging Impact on Reading Motivation and Skill for Young Boys? For the past 1 and a half years, something special has been happening at a school campus in Singapore. Boys aged 8-12 are arguing about whose turn it is to read a desired book and rushing to join a book club that’s so full, it’s not taking any more members. How did this happen? More importantly, how can you recreate the magic in your school? Nadine will spill the beans at this session. Creators can step into the shoes of a teacher for one hour and learn what makes a book a treasured find. From beautiful illustrations to didactic language, speakers discuss their views on relevant and useful books children need and love. There is a Writers and Illustrators conference, Teachers' Congress, Parents' Forum and Cross Platform Summit - so let your teachers and parents know too. Presented by The Storytelling Centre Limited and The Arts House, the festival features a variety of performances including family and adult audience shows, workshops and local commissions – a Young Storytellers Mentorship Project Graduation Showcase and Stories for Change showcasing key storytelling and spoken word organisations. 2017 will mark our first edition. 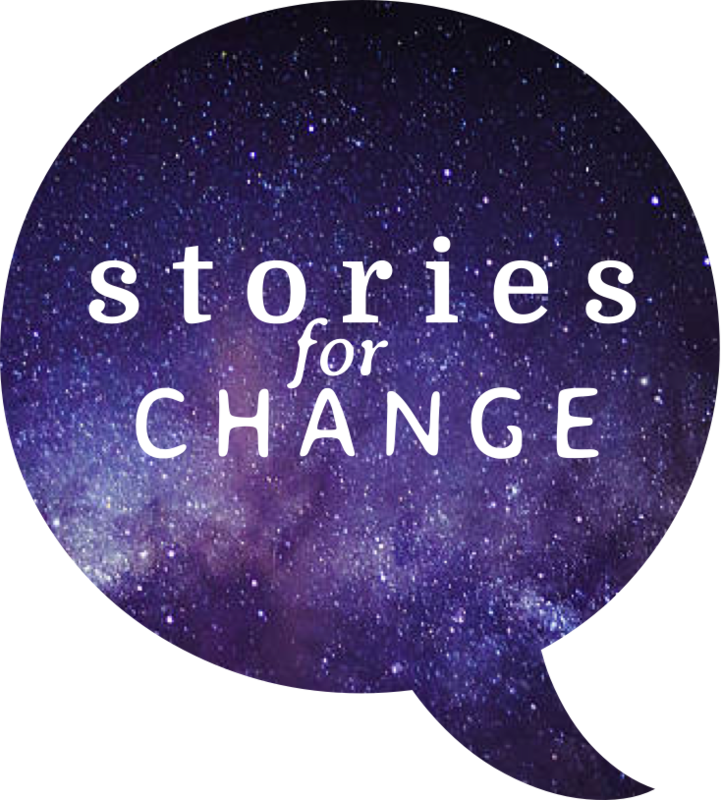 It may be worth while for schools to contact the organisers to see if there are opportunities to get visiting storytellers to come to their schools. A reminder that we are finalizing the numbers for our End-of-Year ISLN Party on starting at 6:30pm, Friday, May 5, 2017, in The Pod at the top of the National Library Board (NLB) main building, 100 Victoria St. This is a farewell to three key members -- Katie Day (UWCSEA East), Jacqui Makselon (Tanglin) and Ben Farr (Tanglin). Two were on the first Hands on Literacy committee that was behind the substantial funds that we hold, and, all of whom were founding members of ISLN. We also have several members who have or will turn 60 in the past year (Pam Males, Graham Grant, Jane Hayes, Katie Day, Pat Chandler, and Barb Reid). These seem like great reasons to have a fabulous end-of-year event. Member schools are invited to bring any or all of their current library staff for free and non-members are welcome to attend for the small amount of $10. NB: You must renew your membership before the AGM on April 20th in order to qualify for the free attendance of you and your library staff. You are also welcome to invite other guests who you feel have been supporters of ISLN or supporters of those people whose contribution we are celebrating. See the recent email to the ISS-LN Google Group with instructions about how to suggest people to be invited and to confirm you and your library staff's attendance. Attendance will be limited to the first 150 people. After the discussions about EPIC at LKSW2017 I have been writing back and forth and finally, have some firm news to report. My contacts are MaryAnn (Support) & Tahleen (Sales & Marketing), these are the issues we have resolved. 1. Concerns over international schools signing up when they state that it is only available to educators in USA, Australia, Canada, Great Britain and NZ. “Can I tell my Network to write to Epic if they want to use the product and request an exception for access? That way you can track who wants it and why. My networks are International School Library Connection and International Schools Libraries Network. So, they are aware and I believe that if you introduce yourselves theynwill answer favourably. If you have a problem please let me know and I will follow-up. Therefore, as long as the devices are signed out of the teachers account before leaving school, students can use EPIC on their 1:1 devices. This would mean that the teacher would need to sign everyone in (we do this - the kids put in the teacher’s email and we quickly scoot around putting in the password) or the teacher could change the password after they had signed out so that each time they use it they input a different password. - please feel free to submit any questions that you might have as to how we use EPIC there as it will help me to build my database. When we first heard about JAW 2016 @ISKL, we knew we it would be a great opportunity for us to meet people who shares the same profession as us but comes from a different country. We quickly signed up for the workshop and before we know, it was time for us to pack our bags for this trip. To make it more enjoyable, we decided to bring our spouses along and did a road trip to Malacca and KL before attending the workshop. We got to experience the beautiful KL city and definitely enjoyed the makan there! Buffets after buffets, food trucks – we loved it! We made our way to ISKL on the morning of 20th Dec 2016. The session started with the groups introducing themselves. The first presentation was on the topic of ‘Readers Advisory’ done by Azlin Library Assistant from ISKL followed by groups discussions on how ‘Readers Advisory’ are handled at the different schools. The different sources librarians use to provide book recommendations for our readers. In between breaks and the different sessions we had throughout the day, participants were encouraged to try quizzes and participate in ice breaking games which promises great prizes for winners. One of the most interesting activity was the part where we had to guess the total no. of pages from a book tower that was on display! Both Rosnita and myself were happy to walk away as winners for two of the games – Unlock the Ring and Kahoot game. Another good topic was on Weeding where we shared amongst ourselves some best practices used to give the book that got weeded another chance to ‘live’ and we discovered a few schools there donate their books to refugee centers. It was enriching to learn from our friends there and we surely picked up some practices that we can apply back in GESS. We also had the opportunity to share our knowledge with the participants and we got to work in groups and everyone was given a chance to present their ideas through active group discussions. We discovered that in KL they also have something like the Red Dot Awards but it’s called Novel Knockout. Some other topics covered at JAW was ‘how to handle student behaviors in school libraries’, weeding practices, library displays and also what I personally like best is the last topic for the day on how ISKL successfully implemented EzProxy in their school. It’s a one stop sign-on for all the databases that the school have subscribed for their school community. Last but not least we want to thank ISLN for offering some sponsorship for our trip. It was a great learning experience for the both of us and we look forward to future JAWs! A reminder that Barb and I are closing registration at the end of the week for the Feb 17/18 Librarians' Knowledge Sharing Workshop 2017, being held at UWCSEA East. Go to http://research.uwcsea.edu.sg/lksw2017 for registration details. where there is a Google Form to fill out to let us know if you want to come along. We have about 70 people attending the conference, plus Dianne McKenzie and Brad Tyrrell, our workshop/keynote speakers. Note that Dr. Myra Garces-Bacsal, from the National Institute of Education here in Singapore and author of the "Gathering Books" blog, is also going to present. Her session will be on "Speed Dating: Picture Books from around the world - Expanding the Socio-Emotional Learning (SEL) bookshelf" -- which will be similar to the talk on her ongoing "Social-Emotional Learning Project" which she gave at Tanglin last November. For those of you who enjoyed that, it will be another chance to look at many of the picture books she has collected. 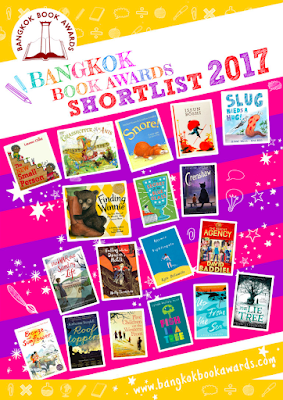 The Bangkok international school librarians -- BLISS -- have started their own annual book awards. Note that Kim Beeman, now at Shrewsbury Int'l in Bangkok was one of the teacher-librarians leading the BLISS initiative. 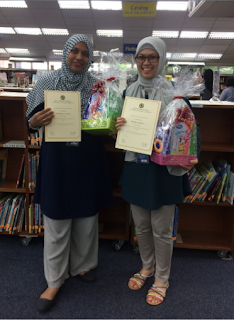 She's moving to Tanglin next year to be the Secondary Teacher-Librarian. So she will undoubtedly get involved in our Red Dot Book Awards.